When Ranveer Singh — one of Bollywood’s most flamboyant and kooky actors — claims he’s an introvert, you take his remark with a pinch of salt. “It’s something I don’t like to project or present in any kind of social scenario or public platform,” said Singh in an exclusive interview over the phone from Mumbai. “That side of me is reserved only for those who are near and dear to me. My family, my wife and my closest friends know that it’s a real, authentic side to me,” he added. His extravagant showmanship and glitzy, furry costumes may put the late American pianist Liberace to shame, but this outlandish talent claims he wears his “entertainer persona” like a cloak. In the rap-to-riches Hindi movie ‘Gully Boy’ — out in the UAE on February 14 — Singh plays Murad, an underdog who becomes a breakout rapper from the slums of Mumbai. The film, which premiered at the ongoing Berlin Film Festival, opened to deafening cheers and stellar reviews that singled out Singh’s unvarnished, gritty performance. 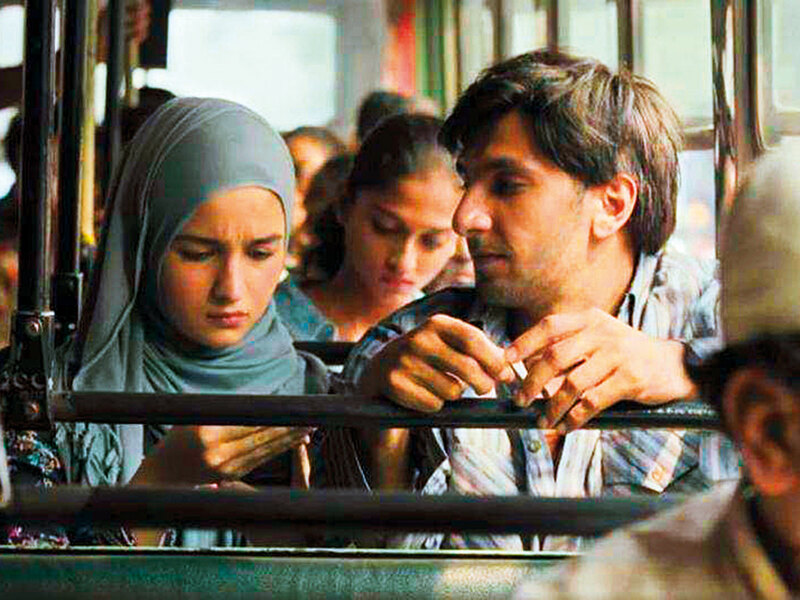 ‘Gully Boy’ also stars Bollywood’s woman-of-the-moment Alia Bhatt, who plays a feisty medical student born into a conservative Muslim household, and who has a complication connection with Murad. Perhaps for the first time in a Bollywood film, Akhtar explores ambition and angst set against the backdrop of India’s burgeoning hip-hop scene in Mumbai’s underbelly. He describe’ ‘Gully Boy’ — inspired by the lives of real-life musicians Divine and Naezy — as a “beautiful underdog story”. A similar approach where Singh held back and exercised restraint on the big screen was his turn in director Vikramaditya Motwane’s period film ‘Lootera’, in which he played a con man. Singh, 33, is the perfect antidote to the nepotism debate raging in Bollywood. He’s the quintessential outsider who wasn’t born into an acting dynasty boasting famous actor-relatives and earned his stripes through his blazing talent and personality alone. His wealthy entrepreneur parents may have made his passage easier, but his stratospheric success can only be attributed to his bold career choices. Be it playing a bestial invader in the controversial epic ‘Padmaavat’ or a cheeky corrupt cop in the recent blockbuster ‘Simmba’, which earned over Rs2.3 billion (Dh118.52 million) at the box office, Singh is fast becoming infallible. So how was the experience of playing a rapper? Singh, who recently married Bollywood A-lister Deepika Padukone in Italy, never lets us forget his penchant for rapping or rhyming. For instance, during several interviews in the past, Singh greeted this journalist by singing aloud a jingle that rhymed with her name. It doesn’t always land, but it’s an effective ice breaker. Singh also remembers a time when he worked as a copywriter in an advertisement agency and earned the reputation of being the go-to guy for rhyming jingles or tag lines. Singh claims he has been into rap since childhood. His cousin from America, who was armed with Tupac Shakur’s cassettes, acquainted him with the genre. He gravitated toward rap for its authenticity, and hopes that ‘Gully Boy’ will have that same sincere pull as Bollywood’s landscape shifts. 2018 was a year which saw hyped, star-driven films (Shah Rukh Khan’s ‘Zero’, Aamir Khan’s ‘Thugs Of Hindostan’ and Salman Khan’s ‘Race’) flop as content-rich films (‘Andhadhun’ and ‘Badhaai Ho!’) took the spotlight and earned a place in people’s hearts. 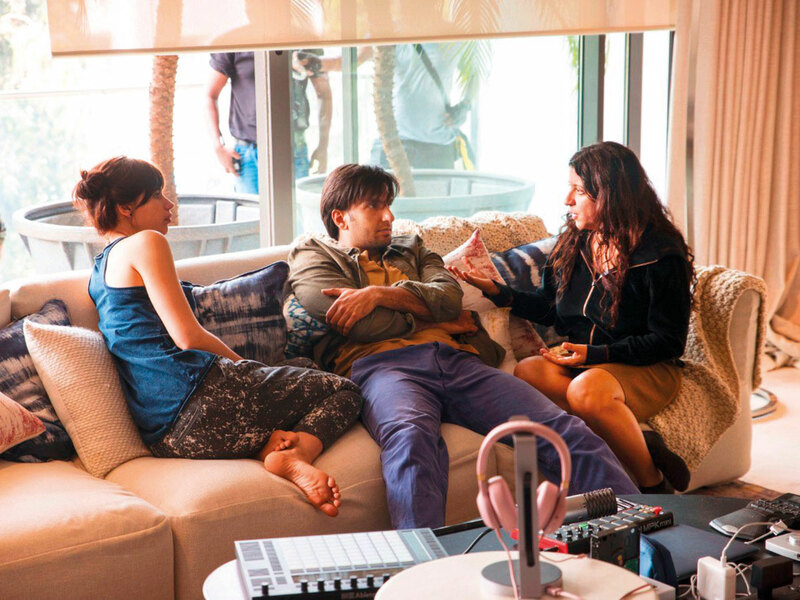 ‘Gully Boy’ is out in the UAE on February 14.